A portrait of the former Bishop of Gloucester, the Rt Revd Michael Perham, will go on public display from today. All are welcome to view the painting at Church House, College Green where it will remain on display throughout the summer. The painting, by acclaimed artist Lorna May Wadsworth, will be the latest addition to a collection of portraits of former bishops held in trust at the cathedral. 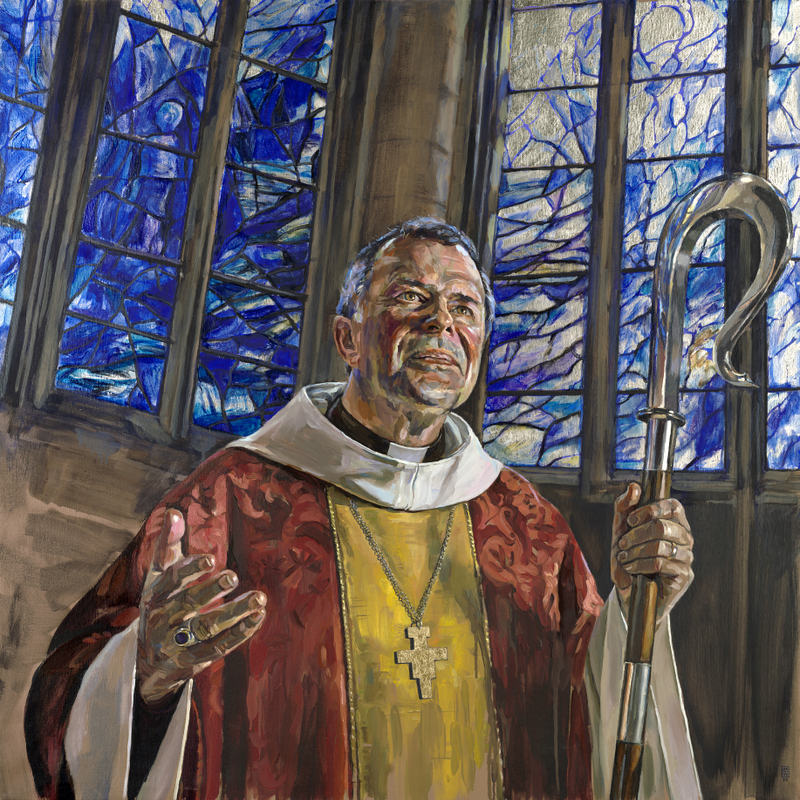 The painting shows Bishop Michael in animated posture set in front of the stained glass windows of the South Ambulatory Chapel in Gloucester Cathedral. Artist Lorna May Wadsworth said: “I was told by those who know him well that Bishop Michael is most in his element when he is performing the Eucharist, so I wanted this theme to be an integral part of the portrait from the outset – to try and capture a sense of blessing and of a pastor in the act of ministering to the people. Before I embarked on the painting I watched Bishop Michael taking the Easter service at Gloucester Cathedral, and also morning communion with his staff at his private chapel in Bishopscourt. Bishop Michael and artist Lorna May Wadsworth, and an image of the portrait. 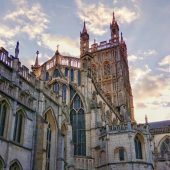 Lorna has strong links with Gloucestershire and Bishop Michael, having previously painted an altarpiece for a church in the Diocese of Gloucester. Bishop Michael took the inaugural service at the church after the painting was completed, at which Lorna’s parents were present. The portrait was unveiled to coincide with a service of thanksgiving at Gloucester Cathedral on 13 June. 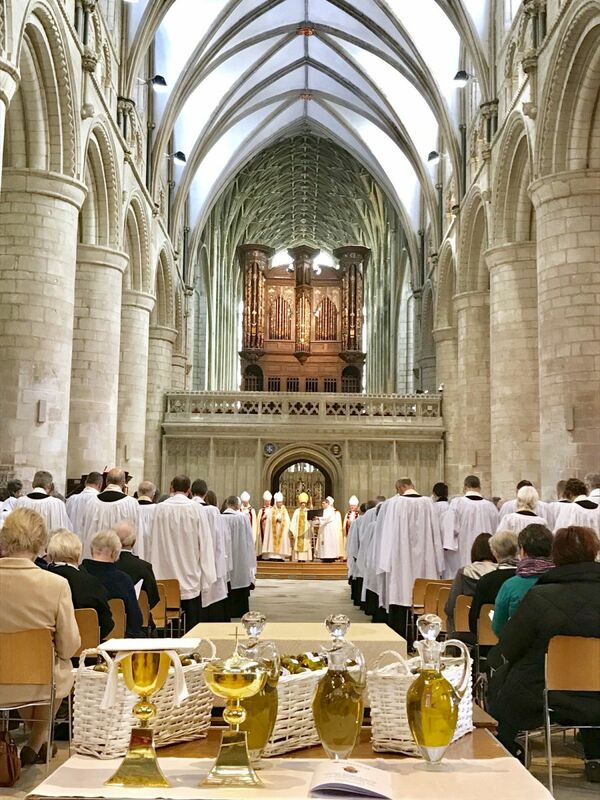 Over 1000 people attended the service to give thanks to God for Bishop Michael’s ministry in this diocese. 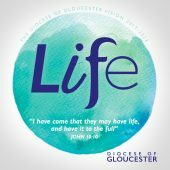 He served as Bishop of Gloucester for over ten years before he retired in November 2014.